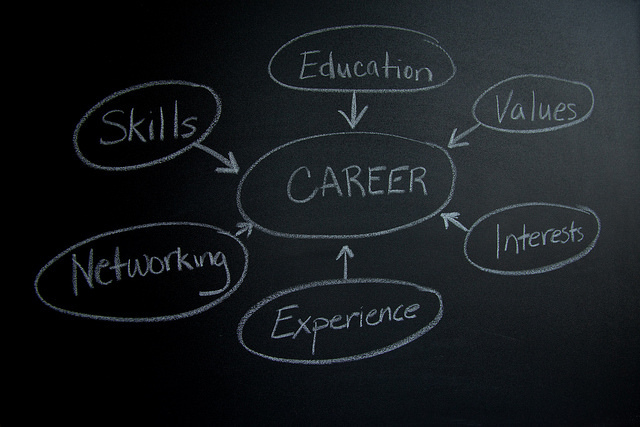 An excellent way to begin your search for career information is to check the resources on this page. Occupational information includes the nature of the work, the entry requirements, the rewards and benefits, and the outlook for the future. If your career interests are linked to a particular industry, such as travel and tourism or food service, you might want to check the Industry and Company section too. These databases will give you full-text access to published articles (many that are ordinarily behind a paywall). Use keyword searching for best results. Check here for access to library databases and all the articles you need. LaGuardia's own career site for current students and alumni. Job & Career Accelerator can be used as a personal job search management center. It includes job listings, resume and cover letter writing advice and an Occupation Matcher. This Department of Labor resource gives job profiles that include descriptions of the nature of the work, required education and skills, salary ranges and forecasts about job growth in the new few years.